Over a period of months, retreats, prayer and sharing sessions, the First Baptist Church congregation and leadership have listened to our own voices and those in the community to discern how God is leading this congregation into the future. (Download a copy of the Feb. 26 report here.) 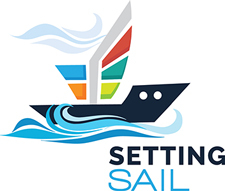 “Setting Sail” is moving from dreams toward implementation of these five dreams. Here are the Five God-Sized Dreams for First Baptist Church of Jefferson City that will direct our future. First Baptist Church honors God with extravagant love, seeking God’s mysterious and loving presence individually and together. First Baptist Church leads every person to follow the Way of Christ, discover their giftedness, and experience continual life transformation. All generations are rooted in a Biblical, hope-filled faith and experience the joy and significance of service. First Baptist Church is an imperfect family bound together by love and grace. We practice radical hospitality, affirm everyone’s journey and celebrate the living Christ working among us. First Baptist Church has a profound impact on the health and well-being of our community. Spiritual, emotional, mental and physical needs are met through innovative efforts and active partnering with churches and community organizations. First Baptist Church is globally-aware and globally-engaged, using its unique giftedness and resources to partner with the international Christian family, sharing Christ in every region of the world.